Who is this ancient figure who stands at the crossroads of history? Is He a great teacher? A revolutionary? Prophet? Or is He indeed, the divine Son of a divine Father? The literal Savior of the world? In struggling to answer this question, many scholars dismiss the divine and separate the Jesus of history, the mortal man, from the Jesus of faith, the Son of God. Today, Latter-day Saint scholars seek to join history and faith, scholarship and modern revelation, to reach a more complete understanding of who Jesus was, and is. Images of Mary and the infant Jesus have long colored our notion of what the Savior’s birth might have been like. And yet, because of variations in the New Testament accounts, some scholars challenge the traditional view of the birth of Jesus Christ. 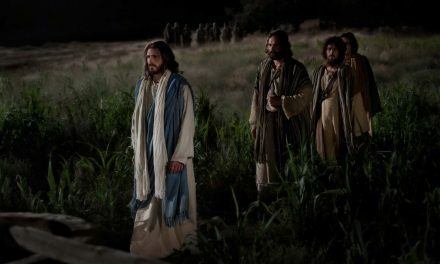 Others however, view these variations as opportunities to gain a clearer understanding of the birth and youth of the Savior as He, the Mortal Messiah, begins His earthly ministry. JOHN S. TANNER: Christians have long loved the story of the birth of Jesus. In fact we’ve loved it almost beyond recognition. Christmas is now layered over with fanciful traditions and legends. But beneath all of these, there remains the good news of the condescension of God and of the fulfillment of biblical prophecy. Jesus’ miraculous birth is considered by Christians around the world to be at the very center of history. It bisects time and divides the ages. So the story of Jesus’ birth is both central and it’s beloved. No part of Jesus’ life story has been treated so tenderly by believers, or so critically by scholars. In fact critics have fastened upon the discrepancies between the Gospel of Matthew and the Gospel of Luke. In the one, Jesus is greeted by wise men. In the other, He’s greeted by shepherds. In the one, the baby is in a house, and in the other He’s is a manger of course. In the one gospel, it seems to be told from the point of view of Joseph, and in the other it seems to be told from the point of view of Mary. So there are differences, both in geography and in genealogy, and even in chronology. But do the differing details point to fabrication between the two narratives, or can they be fitted together convincingly so as to affirm the fundamental credibility of the canon? RICHARD LLOYD ANDERSON: At Christmas, we’re fortunately still surrounded by a lot of community recognitions and reminders about the birth of Christ. I hope it will always be so. In the process, we’re going to try to look closely at the Gospels of Matthew and Luke so that we really do understand the real story of Christmas. JOHN S. TANNER: One of the great blessings of reading the scriptures about the birth of Christ is that they’re very familiar. And that’s also one of the downsides. People often read them with a sense of what they expect to find there, and not always with a sense of what’s actually there. The scriptures say in Luke that “and so it was that while they were there” (Luke 2:6)—and again, I think we just read this over, in the beautiful prose of the King James version. But how were they there, while they were there? How long had they been in Bethlehem before the days were accomplished? Was it the night that they arrived? And so I often encourage my own family in our own reading to just slow down, and just kind of take in some of the words—to really linger over the details that the scriptures give us, and to ask questions, to interrogate the text about what we know and maybe what we don’t know, and the questions we’d like to imaginatively answer in our minds. THOMAS A. WAYMENT: One of the things that is important to understand in the gospels is they are interrelated. They’re not three or four separate accounts about Jesus. And one of the things that we’re able to understand as scholars is that it’s very clear that Matthew, Mark, and Luke borrowed from one another. And it’s kind of like unraveling a puzzle, trying to figure out who was the source, and who were the persons responsible for borrowing. S. KENT BROWN: The audience shapes, to a great extent, the way that Matthew and Luke present their stories about Mary and Joseph and the child. Matthew is writing to a Jewish audience. That becomes clear at the very front end of his gospel account, when he begins with a genealogy that rests on Abraham. Introducing his birth narrative, Matthew reproduces a genealogy of Jesus, which itself is highly symbolic. There are three sets of fourteen generations, beginning with Abraham and ending with Jesus. To begin the story with Abraham carries a high symbolism. Someone looks at Matthew’s gospel and says, already built into his narrative is this symbolic structure. In effect, he’s trying to answer the question of his Jewish friends, Well if Jesus was the Messiah, why didn’t we recognize Him? Why wasn’t it apparent to us? RICHARD HOLZAPFEL: Matthew seems to be an ancient biography. In all the classical definitions, it is an ancient biography, where Luke isn’t. As some scholars have suggested, Luke is a historical narrative, outlining salvation history, and he does it in a historical narrative fashion. So basically we have Matthew, a biography focusing on Jesus, and Luke, a historical narrative telling the story of Jesus, but brings in lots of other evidence to suggest that He is the promised Messiah. S. KENT BROWN: Luke writes to set the record straight, that Christians may be Jews, but they have a completely different frame of reference. One of the pieces that Luke continues to return to particularly in chapters one and two, is the fact that those who were associated with the opening of this story all respect law. That’s a theme that shows up again and again and again in chapter one and chapter two, that according to the law, these people are respectful and obedient. If one is to choose, for instance, between the two birth narratives, Matthew on the one hand, Luke on the other, most believing scholars go with Matthew and discard Luke as being historically reliable, for a number of reasons. For me, I think it’s possible to pair these two and to find a consistent story lying in the two accounts—Matthew emphasizing Jesus as Davidic king, and Luke emphasizing Jesus as the man for all men, who descends not only from Abraham, but beyond him, from Adam. ANDREW C. SKINNER: No one really knew the whole story, which I suppose is a great lesson on why we shouldn’t judge others, because we really don’t know. When Mary leaves Nazareth to go visit her cousin Elisabeth, and she comes back, she’s pregnant. And there was probably a lot of talk in the village of Nazareth. From the time that Mary gets back in this little village of Nazareth, life is never the same for her. And like some small towns that I know, everybody knew everybody else’s business, and I think that that was the case with Mary. And so when she comes back from visiting her cousin Elisabeth, according to tradition, down south of Jerusalem in the Ein Kerem region, she comes back and she’s carrying a child. “And it came to pass that I looked and beheld the great city of Jerusalem, and also other cities. And I beheld the city of Nazareth, and in the city of Nazareth I beheld a virgin, and she was exceedingly fair and white. And it came to pass that I saw the heavens open, and an angel came down and stood before me. And he said unto me, ‘Nephi, what beholdest thou?’ And I said unto him ‘A virgin, most beautiful and fair among all other virgins’ (1 Nephi 11:13). 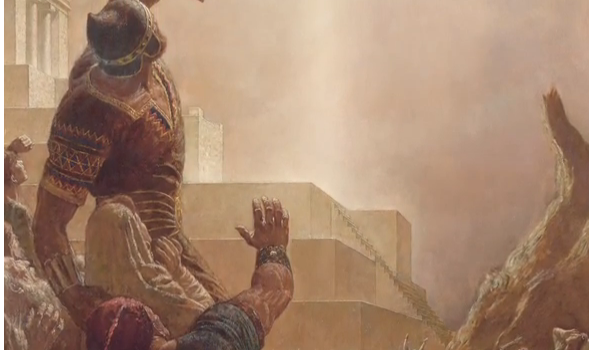 MARCUS H. MARTINS: The Book of Mormon provides some interesting insights about Mary. 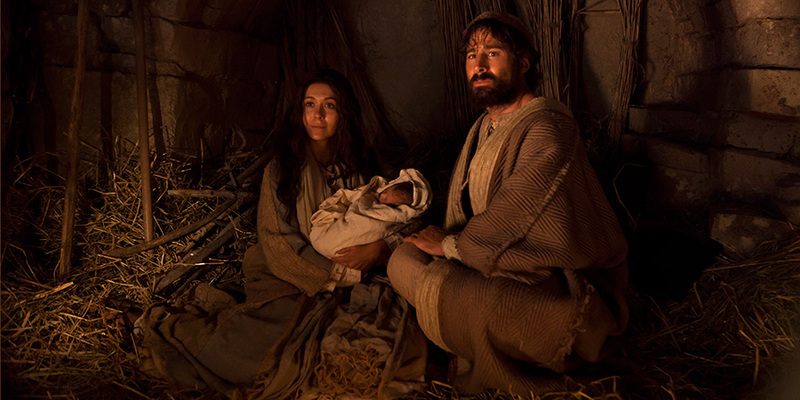 First of all, we begin with Nephi’s vision of Mary six hundred years before the birth of the Savior. And one of the things that this indicates to us is that Mary was preordained to be the mother of the Savior. This was not some random event that took place at the time of the Savior’s birth. Nephi describes Mary, and he uses a terminology that the prophet Joseph Smith in the early 1800s translated as “exceedingly fair and white” (1 Nephi 11:13). And in our 21st century normal language, sometimes we look at that and say, what do you mean, that she was fair and white? Well, if we look at the dictionary and look at the definition for those words, Nephi probably was referring not only to her physical characteristics, her beauty, but also referring to the idea that she was pure, innocent, that she was a precious person, but a very virtuous woman as well. JUSTIN SU’A: Originally it’s a question. The spirit asks Nephi in [1 Nephi 11] verse ten, “What desirest thou?” and this is after seeing the tree, the vision of the tree that Lehi had seen. And Nephi says, “To know the interpretation thereof.” And rather than give him the interpretation, the spirit gives him more vision. In verse 13 he sees: “And I beheld a virgin, and she was exceedingly fair and white.” It goes on: “A virgin most beautiful and fair above all other virgins.” And verse eighteen: “Behold, the virgin whom thou seest is the mother of the Son of God, after the manner of the flesh.” A few verses later, the spirit shows him—Nephi says, “I looked and beheld the virgin again, bearing a child in her arms.” The spirit then asked Nephi once again, “Knowest thou the meaning of the tree which thy father saw?” And Nephi could now say, “Yea, it is the love of God.” I find it very interesting to note that rather than—in order to show him the interpretation of this—He taught him about Mary, the mother of Jesus Christ. JOSEPH FIELDING MC CONKIE: When Gabriel came to Mary, the feel that you have of that whole story is different than when he appeared to Zacharias. Zacharias was frightened. For Mary it seems more of a natural thing, and almost to the point that it suggests that she’s used to spiritual experiences, that maybe this isn’t the first time that she has been instructed by an angel. CAMILLE FRONK OLSON: And here is a young woman of no consequence, of no title, who receives the visit of an angel, who announces that she will be the mother of the Son of God. 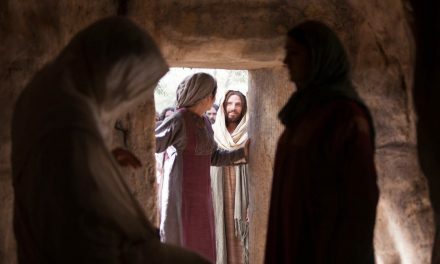 And her response showing tremendous faith: “How can it be, seeing that I know not a man?” (Luke 1:34). What she didn’t understand is how this could be, being a virgin. BRENT L. TOP: I am impressed with Mary’s devotion and faithfulness. Not once does she say, This can’t happen. She knows it is going to happen, and she submits in total obedience and faith and devotion to the will of the Father. Gale is a former fibro and CMP sufferer. She hopes this information will help other sufferers on their journey to good health.